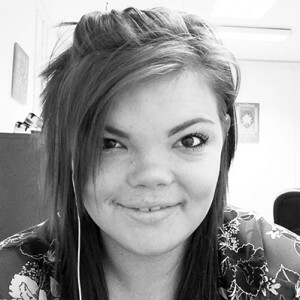 Hello, my names Mollie, I have been working within Imagineer since July 2013 as an apprentice. In the first year of my admin apprenticeship I was working on websites. Creating them for Imagineer and a range of other businesses along with designing business cards and other promotional material for businesses. Starting off my second year with Imagineer I have been more focused on the admin side of my job and of course promoting Imagineer and everything they do as best I can. Now into my third year being here, (yes it’s been three years!) I have been promoted to Office Manager. My role is very admin based but I am now doing more graphic-ing for the organisation too! I find it very therapeutic and I hope to gain more confidence in myself and my drawings too. Before landing my apprenticeship I had studied graphics, design and photography at Huddersfield new collage. After I had finished I was the typical teenager and didn’t know what I wanted to do. Luckily I was given an interview with Imagineer and successfully got a job. Even though this started as an admin apprenticeship I have put my qualifications from college to good use. Working at Imagineer is really nice. I’ve met some really great people and it’s really nice seeing everyone together at all the different events.